The Tamarind in Trinidad is very sour and cannot be eaten naturally by some people. Or as we say in Trini “It so sour it does edge teeth”. 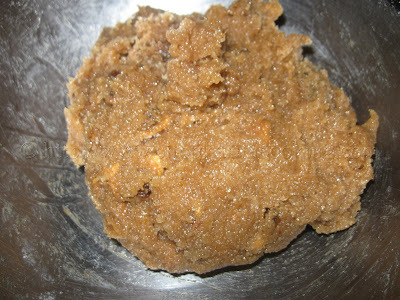 Tamarind, however, makes a good tambran ball and sauce for pholourie. 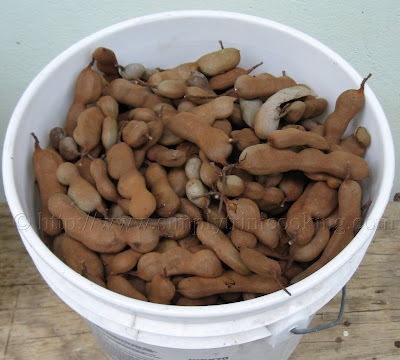 There is sweet tamarind variety which is also getting popular here in Trinidad and Tobago. This sweet type comes from Thailand. It has a more tolerable, natural taste than the local variety because of its natural sweetness. I happen to like it as well. Another tamarind product I found in the supermarket is “Picarindo” from Mexico. 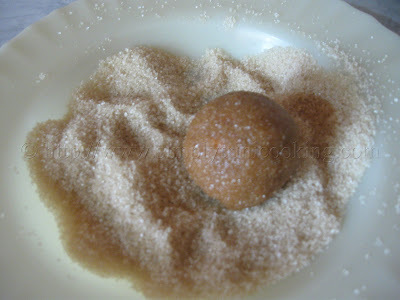 It is similar to our local tambran balls except that it has a red preservative added to it. I see they even have one on a stick, and just like the tambran ball it is absolutely mouth watering. 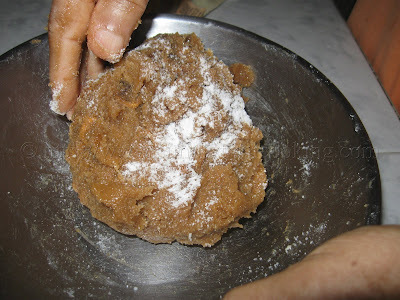 I know of two ways to make tamarind ball. The only difference is that one has flour added and the other doesn’t. The recipe we are doing is for the one with flour. 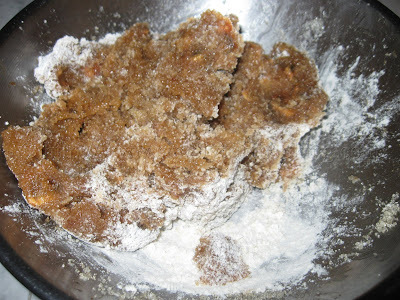 (Please note: The tamarind balls without the flour is softer, and not as firm as the one with flour. 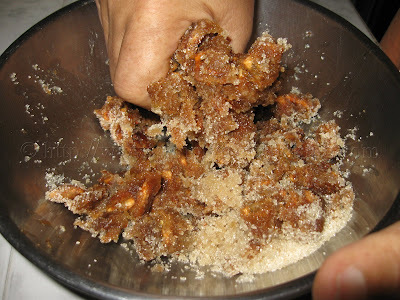 Also in making it without the flour, a little bit of hot water is added to the tamarind pulp, as the first step, to soften the pulp. No water is added to it again.) I hope you enjoy this traditional snack just like “tanty” used to make. Don’t forget to tell me how it comes out when you make it or your family and friends. Here we have a bucket of tamarind waiting to be cleaned. Actually, I picked this from my tree in the backyard. 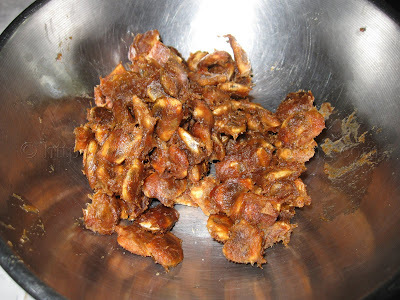 Place about 1 lb of the cleaned tamarind pulp in a large bowl. …and about three tablespoons of sugar. Knead in the ingredients while separating the seeds. 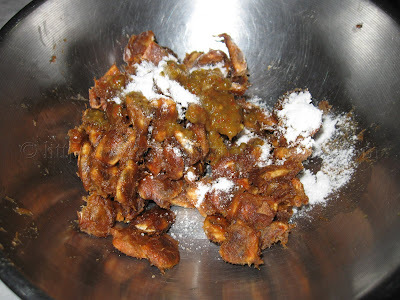 Sprinkle a little water over the tamarind ( very little ) to moisten it a bit. 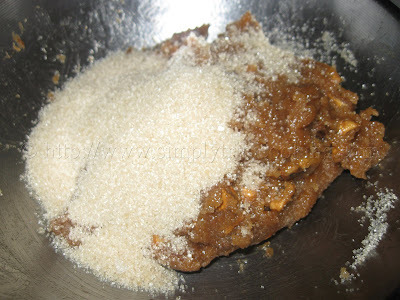 According to how sour the tamarind is, more sugar may have to be used. Let taste be your guide. (This step is optional). 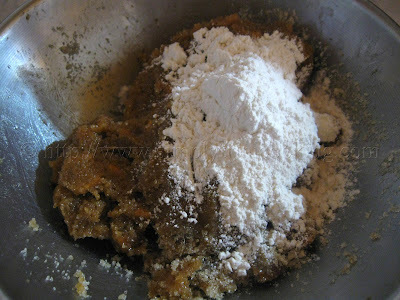 Add the flour (This helps the mixture to bind better). 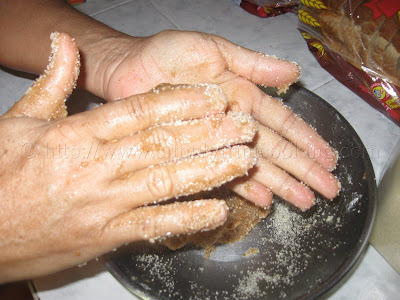 Knead the flour into the tamarind. If necessary add salt to adjust taste. to make a ball about 2 inches in diameter. 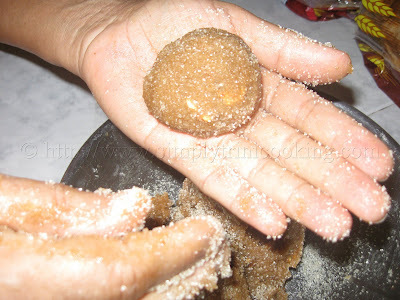 In a separate plate or bowl pour some sugar and roll the tamarind ball in it. Store in the refrigerator or in a cool area. That’s it; simple and easy. See you soon. Bye! 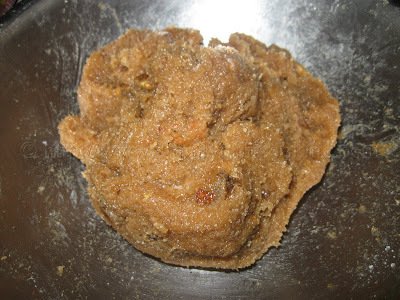 Don’t forget to leave your comment for this tamarind ball recipe in the comment box below. I love to have tamarind by itself . Never had Tamarind Ball. Will try next time . Your recipe is very helpful with step by step pic . Really tempting & delicious recipe . 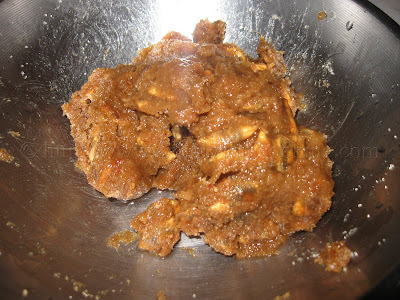 I see tamarind paste all the time in some groceries store and have always wondered what could be done with it. Now I have a clue. Thanks! @howtoboilanegg We also make a sauce with it as well. It’s spicy and tastes great with a delicacy called Pholourie. Thanks for the comment. Tambran! This making me feel hungry! Can I use it as my profile pic for the month? My cousin brought me some of these from Trinidad…we have no idea what to do with them! i guess it takes some getting used to, we keep thinking we need to eat them on top of something, and said no. 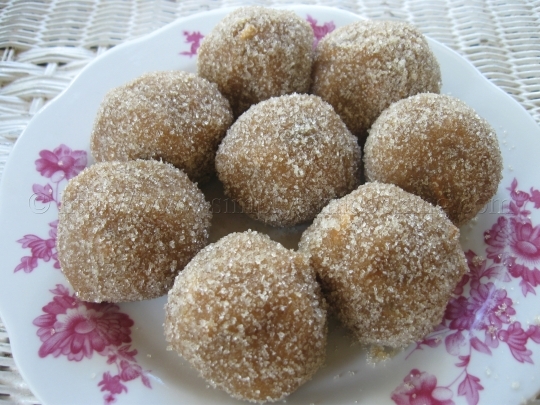 This is the best tambran ball I’ve ever eaten thanks to your easy to follow recipe. Keep it up! Allo Felix – just as a guide, approximately how much salt and pepper to use in terms of teaspoons? 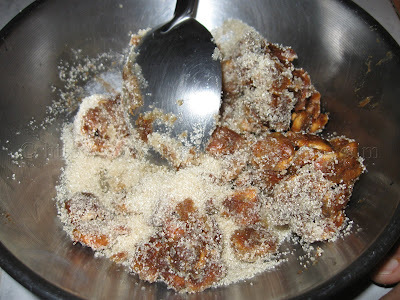 Thanks for the recipe Felix…love your site…I know some Tambran Balls have a hint of garlic in it. Wondering how i could incorporate this in the recipe….any ideas ? I wouldn’t add garlic. I’ve never used it for Tambran ball. If you do want a hint of garlic I would suggest you grate the garlic finely and add it at the beginning of the process. Any hot pepper sauce would be adequate. Any hot pepper sauce would be adequate. just use your discretion.